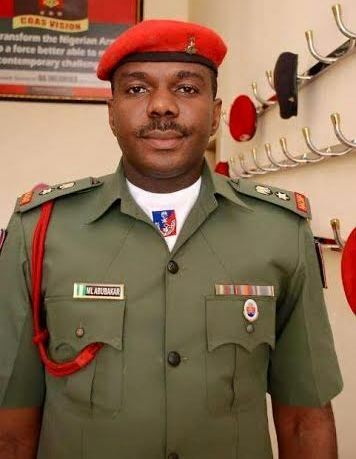 Meet the newly appointed Aide De Camp, ADC, to President Muhammadu Buhari. His name is Lt. Col. Muhammed Lawal Abubakar from Kano state. An ADC is a military assistant to a Senior military officer. He oversees the security details of the President.